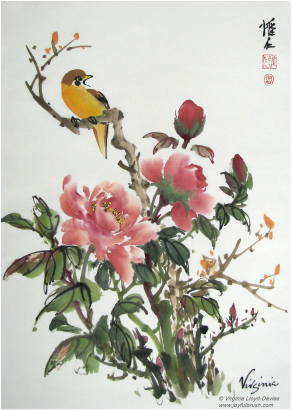 Chinese brush painting or Japanese sumi-e has been my passion for nearly 40 years. Based on calligraphy strokes, there are many different schools and techniques, some dating back over 3,000 years. 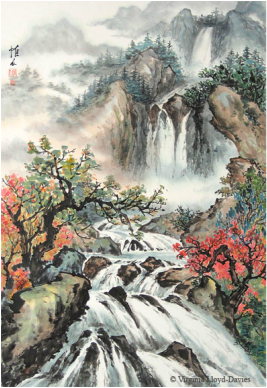 The styles I am trained in are called “splashing ink” or “paint the idea”. These are less about portraying photographic accuracy and more about communicating an idea or a feeling – a balance between the discipline of the technical skill and the ‘chi’ or spirit of the artist.